More than 200 mycotoxins have been identified from common molds. Mycotoxins interfere with RNA synthesis and may cause DNA damage. Mycotoxins, even in minute quantities, are lipid-soluble and readily absorbed by your intestinal lining, airways, and skin. Even spores that are no longer able to reproduce can still harm your health due to these mycotoxins in other words, "dead" mold spores are every bit as dangerous as "live" ones. The spores do not produce the toxins rather, it is thought that the toxins are produced when the spores are produced by the mold colony. Of all the issues interrelated to mold, nothing acquires more consideration than so-called "black mold". If you are willing to educate yourself and want to know the facts about black molds, you are here at the correct place. Are toxic molds and black molds similar? Are all kinds of black molds noxious? Is black mold more dangerous to green, red, white and other molds? By the end of this article, you will get answers to these and even many more questions. Clear : Right to the point. It is really upsetting that the internet is full of bad and wrong information about molds and particularly about black mold. We see misinformed reports constantly about black mold. We often come across with story after story of somebody getting taken benefit of by an immoral supplier or corrupt company who utilizes misinformation and scare strategies to take benefit of susceptible clientele who are specified bad information about mold and Black Mold. The fact is all kinds of black molds are not toxic. There are a good number of species of fungus globally. A large percentage of those molds are not risky at all to humans. Consequently, it is essential to identify whether black mold is dangerous or not. It is referred by the media that black mold can produce contaminants, particularly mycotoxins such as a cluster of molds recognized as Stachybotrys. However, the presence of mold does not essentially signify that mycotoxins are there. The circumstances required for mycotoxins to be fabricated are not fully understood. In addition, mycotoxins can be generated by other types of molds besides black mold. In simple words, you cannot identify whether a mold is dangerous or not with the color only. About 100,000 categories globally, molds are available in numerous sizes, shapes and colors, etc. It is virtually impossible to tell what type of mold you have at your place with proper inspection. Toxic mold comes in lots of colors and black is not toxic always. Black mold has some typical odor that favors a mold and mildewed odor. If the mycotoxins that are formed by poisonous black mold are ingested or breathe in, you could suppose to experience one or more following symptoms according to the quantity or extent of the exposure to black mold. The particular pull of the categories of toxic form will be an aspect as well. These symptoms are usually noticed in kids and aged people. Molds can make you and your family sick, but not only black mold. If you have noticed mold in any part of your house, it is advised to treat all kinds of mold in the same way. Instead of dealing with all this by your own, it is advised to hire a professional for Mold Removal and Mold Remediation efficiently. If you visibly see molds or notice that special odor, you are supposed to remove and remediate the mold regardless the color, size and species category according to the approved Mold Removal Guidelines and protocols. 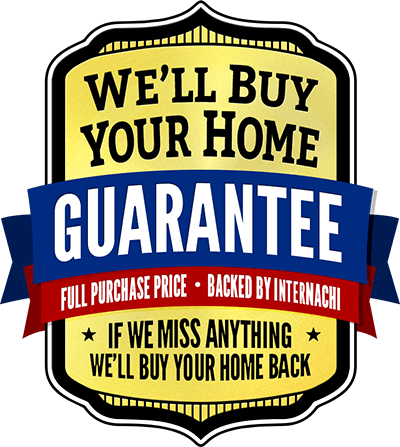 Discover our home inspection guarantees. 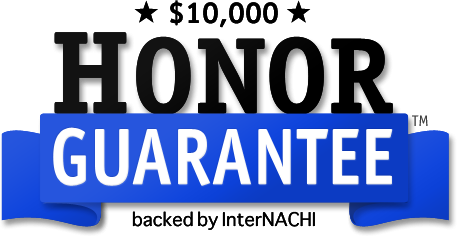 * In order to be eligible for our guarantees, you must register with us before the inspection. FREE With Every Inspection! 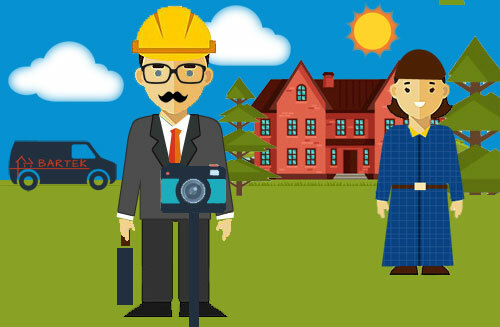 Residential Warranty Services. 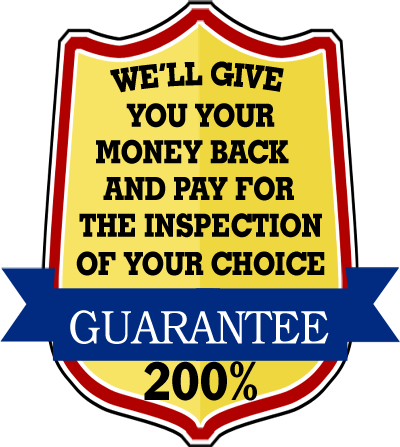 * In order to be eligible for our warranties, you must register with us before the inspection.